After one full week in May, we have celebrated Star Wars Days on the 4th, been able to enjoy the complete storyline on the planet Ziost in Update 3.2 and start the second round of 12x XP in SWTOR. There is a lot going on in the game. Although for the most part, things are going good, but there are a few issues needing to be addressed. I feel the need to make this post after some things happened yesterday. Yesterday, John made some posts communicating our views, and looking for feedback, around the state of Sentinels and Marauders. We knew going in that some of what we were going to say might not be what players wanted to hear, but the Combat team felt it was very important that you understood how we view things from our side. We may disagree on some things, but if all opinions are on the table we can have a better and more informed dialog about it. However, following the posts John made yesterday, a few players formed a witch-hunt against John. These players tracked him down on some of his personal accounts and in some extreme cases, even those of his family members with the sole purpose of harassing, insulting, and threatening him based on those forum posts. The purpose of our forums, of our subreddit, and other official channels is to have a dialog. We know that sometimes we may disagree, and that’s ok. We want to have those hard conversations, we want to talk about what we can do to improve, and to pass on our thoughts on how we see things from the Development side. But taking that conversation off of official channels to make personal attacks against Developers is completely unacceptable. Please understand John didn’t need to communicate his perspective about the class. John and the Combat team knew giving their views on Sentinels and Marauders, in some cases, would not be received well, but he did it anyway. The alternative, is that we stay silent. If the reaction of this community is to go out of your way to personally harass someone we will stop having a dialog. How can we, as a Community team, ask the Combat team to put their opinions out here if some of you are going to react this way? We know there is unhappiness in the Sent/Mara community and we genuinely want to continue having an open discussion with all of you. But, it’ll require regular dialog, respecting each other’s opinions, and very importantly, not harassing anyone who is participating in the conversation. That means, we all need to hold ourselves to a higher standard and be accountable for our actions. I have been a part of gaming sites and forums for many years. I thought I had seen about seen it all, then I come across this post. More to the point, the fact a post like this needed to be written has me completely baffled. I’m not baffled that BioWare responded, because it had to be done. Why did it need to done? Because some people in this community thought they might be better heard by harassing a member of the development team. Seriously? Why in the world would anyone think this is a good idea? Worse yet, to actually go, to the degree, of tracking a member of the development team’s personal accounts and even members of their family to harass them. It sickens me. As of May 4th, subscribers have the ability, if they choose to level up with 12x XP. If you didn’t get a chance to experience leveling with 12x last November, now is your chance. The reason for the big boost is to help players who have had a chance to see the various planetary quest lines. I would strongly recommend if you have not played through to end cap that your first time should not be with 12x XP. You will end up missing a lot of amazing content. To level up at a normal pace, there is a vendor on the fleet that you can purchase a consumable for zero credits and takes away the 12x XP buff. Now, if you have seen the planetary quests, flashpoints, etc. and really want to level another character then you might need a few tips to help the accelerated leveling process. Besides the added XP for subscribers all the basic comm vendors have been changed on the fleets. No more trying to remember which planet vendors for which level. Now the vendors are clearly labeled as to which levels they are. The other benefit, to help questing rapidly, is the speeder points are automatically added as soon as you get to a planet. This means you can go right to the nearest speeder and zoom to the next class mission. I’m sure that a majority of you knew most of my tips and are asking yourself, “is that it?” No, there are plenty of helpful tips found in the following video from Vulkk. Yes, everyone’s favorite streamer from Bulgaria has published a YouTube video for the 12x XP. 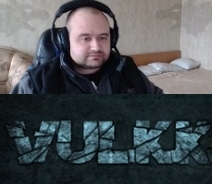 In the video, Vulkk has several great suggestions for making the most out of your 12x XP. If you have not started utilizing or wanting to get more out of this bonus XP experience, make sure to watch the video. Be sure to let Vulkk know what you thought of his video by visiting his YouTube channel. Corellian Run Radio would like to again thank all those who attended, watched, and followed our Twitch channel. We will be live again this Sunday, May 10th. 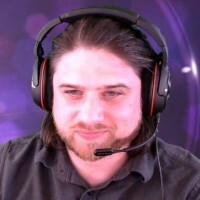 On the show, we will have SWTOR streamer Sechari live. We begin the livestream at 5pm EST/2pm PDT. Whether you have been attending our live stream or maybe you haven’t yet, either way this will be a show everyone will want to mark on your calendars to be there live. See you there! Shintar has another great post on her blog, Going Commando. The article post is entitled, Conquest Fatigue. I saw this post and started reading it, because I have been feeling a bit “fatigued” on the Conquest events in SWTOR. The article talks about her personal observations of conquesting. She still does an impressive job of hitting her goals on 5 toons. She did discuss that having to tailor her playing around the Conquest system, in order to maximize her weekly points for several weeks, seemed less likely. Shintar states that it was great, for her, to play the occasional event. 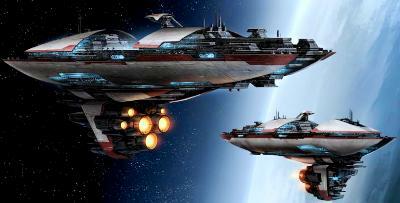 In fact, she planned for last week’s Total Galactic War. This is when every planet is up for grabs and gives the most chances for a guild to conqueror a planet. In theory, this should be one of the biggest events with the most interaction. She noticed that it wasn’t the case. During this event, I also noticed empty slots on the leaderboard on the Shadowlands server. Shintar goes on in the post to give her thoughts as to why there is seemingly less interest. She hasn’t given up on the Conquest events, but wonders if it might be predictable, or some larger guilds, through no fault of their own, causing some to give up or not even try. This article is well written and gives an honest look at the current state of the Conquest system. Personally, I would like the system to mean something during events. Why aren’t there earned points for the Bounty Contract week, as an example? 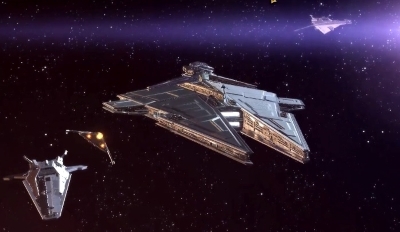 I think there is potential with the Guild Ships and the Conquest system. I hope that BioWare has not checked this off their list as done. What do you think about the Conquest system? What changes would you like to see made to it? Please leave your thoughts and ideas in the comment section below. Be sure to follow the blog, Going Commando.